This thinkpiece on the death of David Bowie will undoubtedly be lesser than most of the plethora of eulogistic tributes that haved budded across the Internet like a fresh, sad spring today. 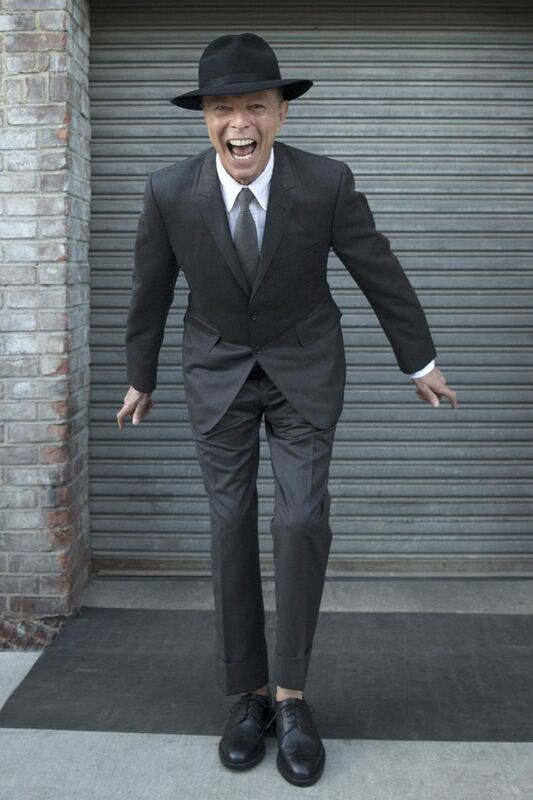 Unlike millions who glimpsed even some fleeting, twinkling reflection of their own quotidian struggles in the music, words, performance, and public image of David Robert Jones, who passed from life late yesterday at the age of 69, Bowie’s art did not uplift me at critical or vulnerable times in my development. It did not save me from despair, inject me with a timely elixir of hope, or steel my spine against the homogenizing imperatives of conformist society and culture. It is not a failing of Bowie’s work that it did not touch me somewhere deep and true when it mattered most. It very much could have, but vagaries of context and circumstance kept David Bowie at a certain remove in my not-insubstantial music fandom as a younger man, and only tentative forays into his voluminous and intimidatingly varied ouevre have followed since. One doesn’t require intense personal investment to acknowledge and appreciate the breadth and depth of influence of a cultural giant, of course. I could consider David Bowie’s artistic variation, career longevity and image reinventions, his seemingly boundless creative curiosity and tremendously open and insightful intelligence. I can muse over the legitimacy that his embrace of countercultural difference in the midst of an era of encroaching hegemonic conformity of consumer capitalism gave to all those who felt likewise different, who conceived themselves in resistance to centralized forces somehow. I could boldly state that David Bowie created what we now know as “indie” music and culture, for good or ill, and I wouldn’t be wrong. I won’t do any of these things, but I will briefly consider, in two very famous and definitional musical examples, how David Bowie tapped into the fundamental anxieties of modern life in the 20th Century and molded those fears and uncertainties into grand and moving artistic statements. The first example, without much doubt, has to be the immortal title track from Bowie’s 1977 album “Heroes”. The song was a hit at its edited three-minute version, with the ubiquity of that single edit such that, as a non-specialist in Bowie’s work, I wasn’t even aware that a more patient, grand, complicated, and magnificent six-minute version had featured on the album. The story behind “‘Heroes'” has passed into cultural legend: its subject is a tragic pair of lovers locked in an embrace in the shadow of the Berlin Wall, their doomed romanticism and messy, fragile humanity fêted and magnified by a triumphal anthem of great magnitude. Composed and recorded by Bowie and collaborator Brian Eno within a literal stone’s throw of the Wall, the dark penumbra of authoritarian oppression haunts its aural footsteps, invoking the ominous converted into the transcendent with the most strenuous and inspired effort. On certain level, it is classical Romanticism, reifying sentiment and gilding love as the most vital bulwark against the dead-eyed conformity of central-state control. A flower growing up from a persistent crack in the grey concrete barrier between freedom and tyranny. But Bowie reproduces Romanticism in order to deconstruct it, to render it as more difficult and less rote, and to suggest that politics, too, is not so cut and dry. Those quotation marks around “Heroes” are so often forgotten by a culture thirsty for easy glorification, the ironic distance they were designed to impart (and that is fully apparent in Bowie’s remarkable vocal performance) far too frequently trampled by platitudes that buttress status quos no less oppressive and limiting to some world citizens as the Wall was to East Berliners. Bowie grounds social, cultural, and political nuance in the relatable messiness of romance, and contrasts it with chivalric fantasies: “I will be king / And you will be queen” alternates with “You would be mean / And I’ll drink all the time”, dreams and faults get equal time. By symbolically associating doomed lovers with the harsh consequences of the seemingly intractable ideological differences of the Cold War, Bowie elevates his musical tableau to the plateau of myth. By refusing to conceive of this tragic love in the glow of fantasy and returning it to recognizable complexity and difficulty, he likewise demystifies the epic black-and-white, good-and-evil dichotomy of the Cold War, suggesting that it too cannot be painted with too broad a brush. The underlying socioeconomic and political struggles (which were always already personal in his work) behind “‘Heroes'” are revisited and recalibrated in Bowie’s closing verse in “Under Pressure”, his lightning strike of a hit collaboration with Queen in 1981. In a song best known for Freddie Mercury’s trademarked vocal calisthenics and John Deacon’s iconic bassline (later sampled by Vanilla Ice), Bowie’s contribution is often overlooked, but his verse building into the song’s coda (“But love’s such an old-fashioned word…”) is a thesis statement for better collective living. Perhaps the most succinct and powerful paean to the platonic ideal of the robust, empathetic welfare state ever committed to a recording device (all apologies to LBJ), Bowie manages to do what artists so seldom do when faced with interminable, impossible struggle: reach out for a practical solution, a solid lifeline. What did the life and art of David Bowie mean to me? Not as much as it might have meant to many, many others, and I bow to their thoughts on the matter of his passing. But writing and singing, with his singular mastery of modulation of emotiveness and implication, words like “Love dares you to care for the people on the edge of the night”? That will never not mean a great deal as we pass through a hard, open world of pain and wonders.